A helicopter flies using the same basic principles of lift and thrust to overcome drag and gravity as an airplane. But the application of those principles is different and allow the helicopter to routinely maneuver in ways that most airplanes cannot. 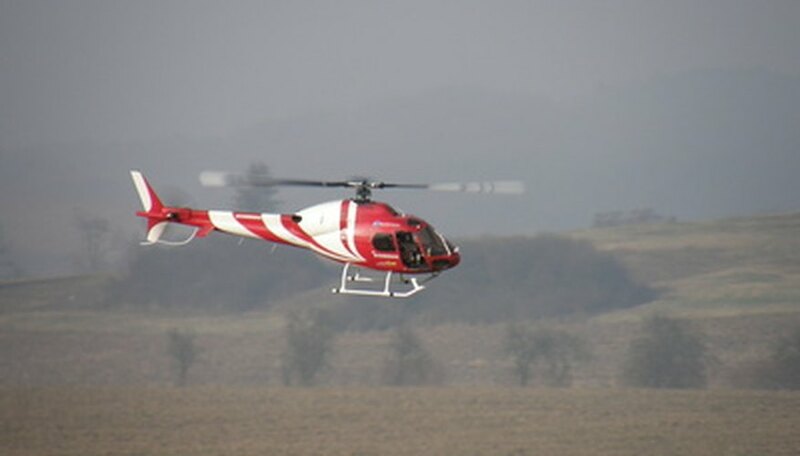 Features such as the rotor system, tail rotor and the transmission make the helicopter unique machines. The turbine engine in a helicopter operates nearly identically to its counterpart in an airplane. The engine’s compressor heats and compresses intake air, directing it into a burner where a mixture of the air and fuel is burned. The heat and energy from combustion is directed across two sets of turbines. The first drives the compressor and the second turns a main driveshaft. Unlike the engine in an airplane, most of the energy produced by a helicopter engine is directed through a power turbine shaft to a transmission rather along the axis of the engine as thrust. A typical helicopter transmission is mounted forward of the engine and directly below the main rotor. The transmission reduces the high-speed revolutions from the main drive shaft and drives the mast that turns the main rotor as well as a second drive shaft to the tail rotor. There are multiple designs for a helicopter’s main rotor system. Some helicopters have two blades such as the Army’s UH 1 (Huey). Other larger helicopters have as many as eight rotor blades. In flight, a fuel control governor maintains the rotor speed at constant revolutions per minute. When rotating at the proper RPM, the individual rotor blades act as a single disk. The pilot's inputs of pitch using the collective and the cyclic flight controls control the helicopter’s altitude, direction and speed. The helicopter’s tail rotor is driven from the transmission through a tail rotor driveshaft and is designed to counter the torque produced by the rotation of the main rotor blades. Torque causes the aircraft’s fuselage to spin in the opposite direction to the main rotor. As the pitch is increased to the main rotor blades, the pilot counteracts the torque by increasing the pitch to the tail rotor blades with the pedals in the cockpit. By changing the tail rotor's pitch, the pilot can also turn the aircraft to the right and left. The collective flight control is used for climbing and descending. Located to the left of the pilot’s seat, it is placed at approximately a 35-degree angle to the floor. By pulling up on the collective, the pilot can uniformly increase pitch to all of the blades of the main rotor system. This increased pitch creates additional lift, and also increases the power demanded from the engine. The cyclic control system (sometimes called the stick) is used for direction and speed. It is attached to the floor in front of the pilot’s seat and aft of the pedals. The cyclic increases pitch to the main rotors unevenly; thus causing the disc formed by the main rotors to tilt in one direction or another. The aircraft travels in the direction the pilot moves the cyclic. It is this control that allows the helicopter to fly backward, forward and sideways.